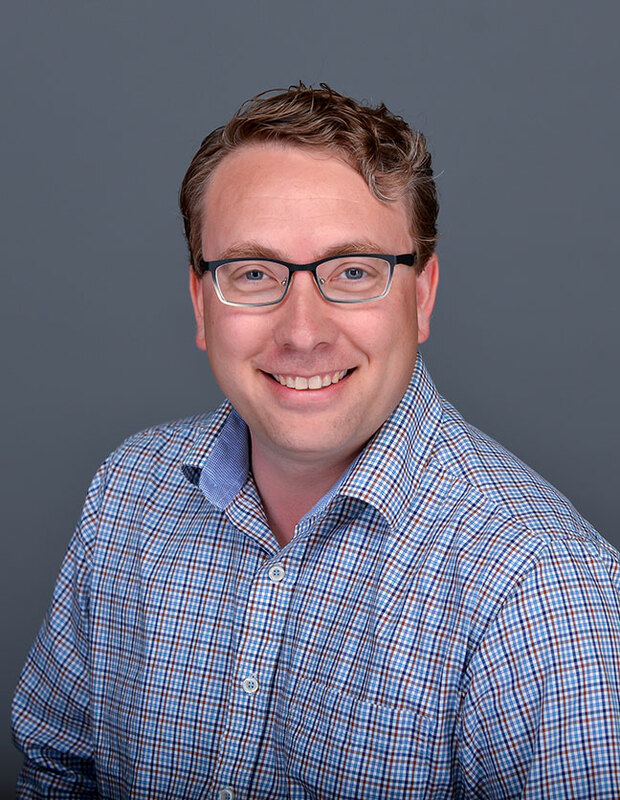 Dr. Aaron Best began working at Hope College in fall 2004 after completing graduate work and post-doctoral training in the fields of microbiology and microbial evolution at the University of Illinois at Urbana-Champaign. His research includes understanding the unique process of transcription in the human parasite Giardia lamblia, the integration of large scale data sets into models of metabolism for bacteria and the microbial ecology of the Macatawa Watershed. Each project hinges on the use of DNA sequences to guide questions and hypotheses. His teaching occurs through one-on-one interactions with students in research projects in his lab, classroom-based research laboratory experiences for first-year and upper-level students, and interactive courses in the area of microbiology and bioinformatics. Microbial genomics — Comparative genomics, genome-scale metabolic modeling, transcriptional regulatory network modeling, identification of missing gene function, genome sequencing and microbial ecology of different ecosystems. Microbial evolution — Comparative analyses of transcription systems in eukaryotes, mechanisms of transcription in Giardia lamblia, evolution of metabolic and transcriptional networks in microbes. Convergence — Aaron’s research interests are best approached using techniques ranging from targeted biochemical and molecular studies to modeling and interpretation of the large-scale data sets being produced in the biological sciences today. The techniques and questions sit at the interface among multiple disciplines. Therefore, his work is largely collaborative to bring multi-disciplinary perspectives and skills to the studies at hand. Working in the context of a primarily undergraduate institution in a biology department provides rich opportunities for investigating problems on multiple scales of biology and allows for fruitful collaboration with large research institutions. Integration of research into courses — Course-based research experiences (CREs) are beneficial to both the research program and to the students. CREs often produce useful preliminary data and provide recruiting opportunities for students trained in the project area. CREs allow more students to learn science by actually doing science. Many of the major areas of Aaron’s research interests have been implemented as CREs in courses that he teaches. View a complete list of Aaron’s publications.